Pebbles are the products of the extraction of sand process. 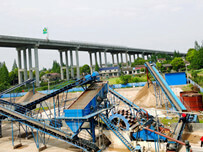 Today, Luoayang LZZG will talk about cobblestone sand production process, as well as the required equipment. 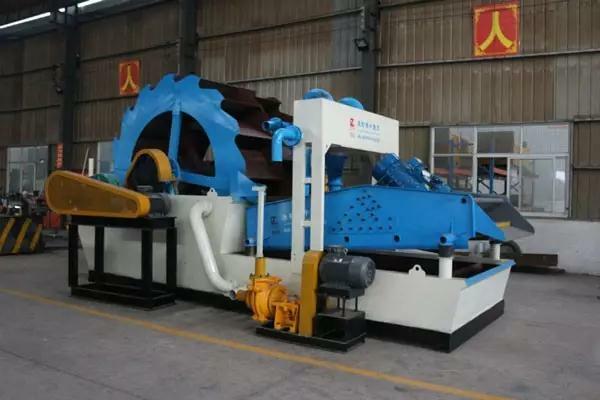 Firstly, the vibrating feeder can supply stone materials, which can be transported to the jaw crusher and broken into materials of certain size. 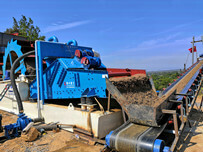 Then the core equipment—sand production machine is used for further crushing to reach the gravel requirements. It is used to sift the pebbles of different grain size by vibrating screen. 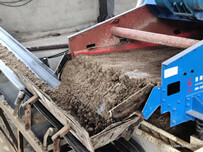 Then DS Series Multi Function Sand Washer is used to clean the finished sand. This is the entire process flow of pebbles. The point of innovation for the process flow of pebbles is by water to wash sand and to replace Wheel Sand Washing Machine by DS Series Multi Function Sand Washer, which can improve the quality of sand greatly. 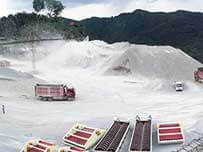 In addition, the set of equipment caan be effective to protect the environment and also realize the high efficiency and energy saving pebbles production line.